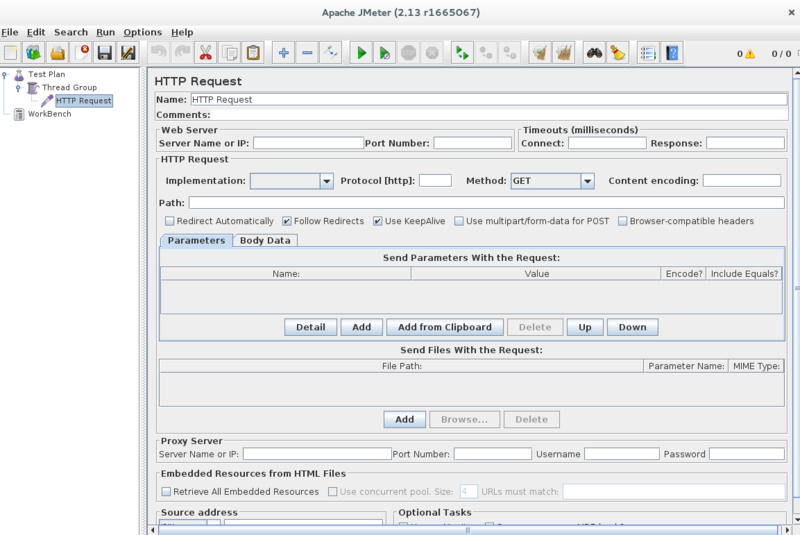 Apache JMeter was originally designed for testing Web Applications on Tomcat, but it be expanded to other test features later, refer to http://jmeter.apache.org/ for details. In the exampls of this article we’ll using JMeter version 2.13, mainly focus on how to implement Web Application Performance Benchmark. 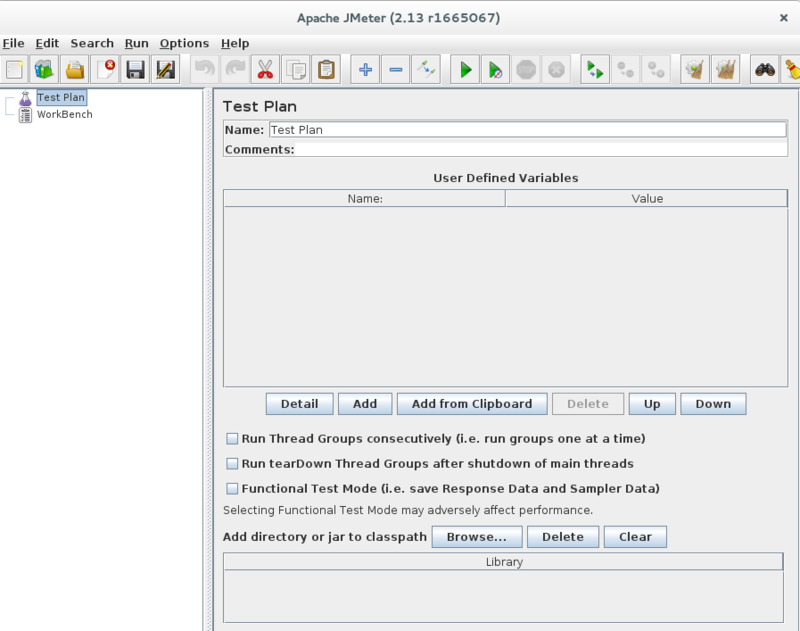 JMeter is available for download from the Apache website ( http://jmeter.apache.org ). Step.1 Define a Thread Group by using right-click on the Test Plan and choose Add > Thread Group. This is the main component of the test plan and will contain sub components. If you enable the Scheduler field, in the lower part of the GUI, you will be able to define a startup time and a stopping time for your test, which can be thus be deferred to a later time. Step.2 Add a sampler. In this example we want to sample a WebServer so we right-click on the Thread Group and choose Add->Sampler->HTTP Request. In the Web Server section you specify the server address and in the HTTP Request section the path to the web page that should be tested. Step.3 Finally we add a Listener which is responsible to display the statistical information about the Samplers result. There are several variants available and for this example we choose Aggregate Report by right-clicking on Thread Group and Add->Listener->Aggregate Report. Before running the test, JMeter requires us to save a Test Plan: click on the Save Test Plan button from the File menu and then, from the Run menu, select Run.